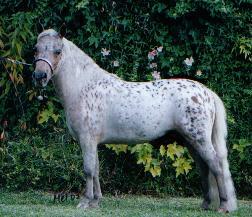 Jacali Chief of Little Ridge, AHMA, 32.00"
The most highly coloured AMHA Leopard Appaloosa Stallion, 32.00" at Stud in New Zealand, proven sire of well coloured get including Longwood's Jacali's Mirror Image AMHA, Pinehaven Spotz unlimited. 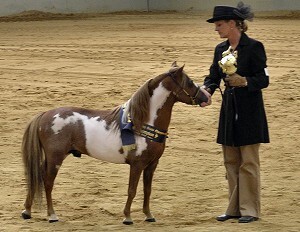 His pedigree is impressive, his sire carries the prestigious Bond Bloodline and his dam carries the Vant Huttenest bloodlines, some of the most famous in the Miniature Horse Industry. 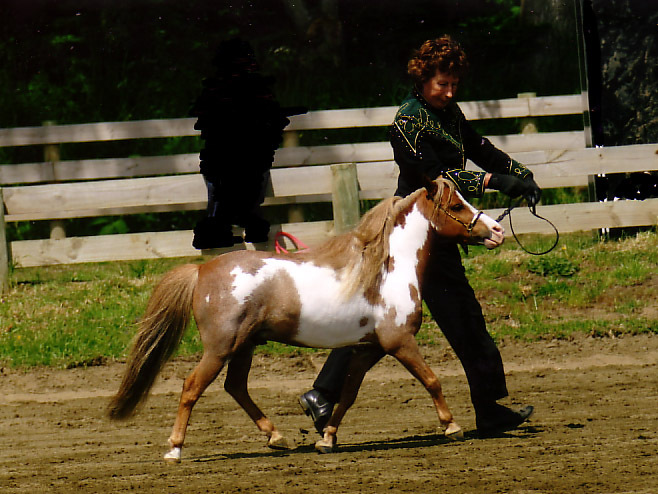 Featured in the recently released American Outstanding Miniature Horse Stallions Book. 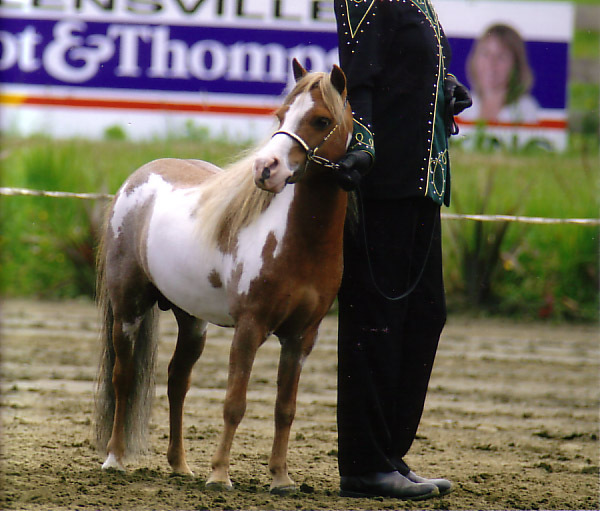 This is the first book ever published in the States devoted entirely to miniature stallions. 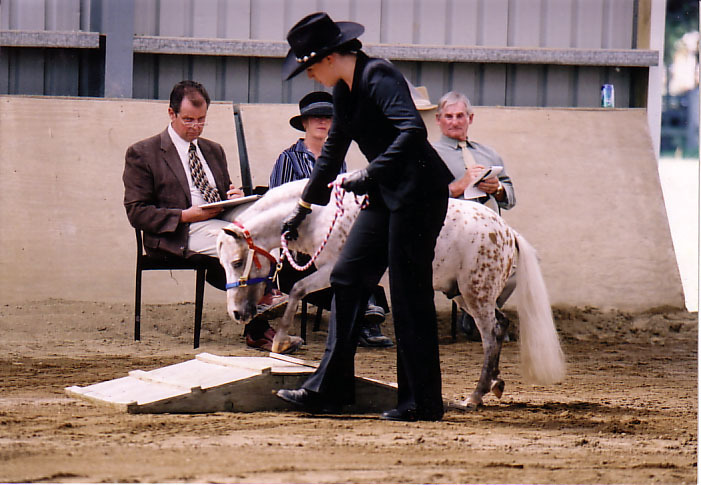 We were very honoured to be invited to contribute to the book especially as only two Studs in New Zealand were asked. 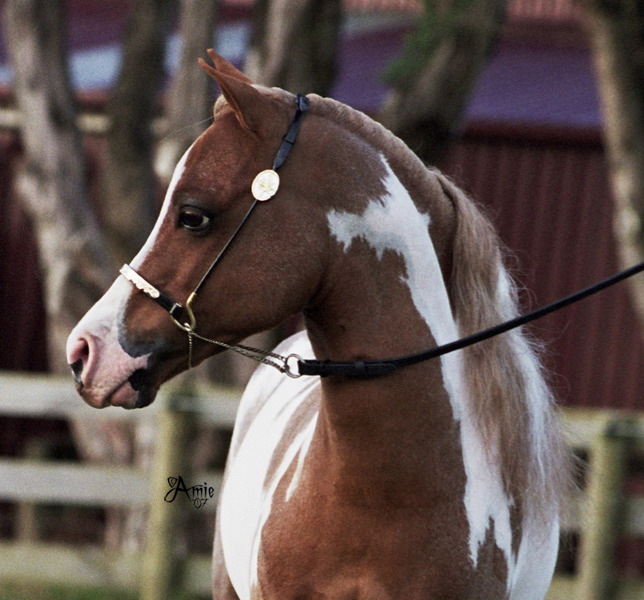 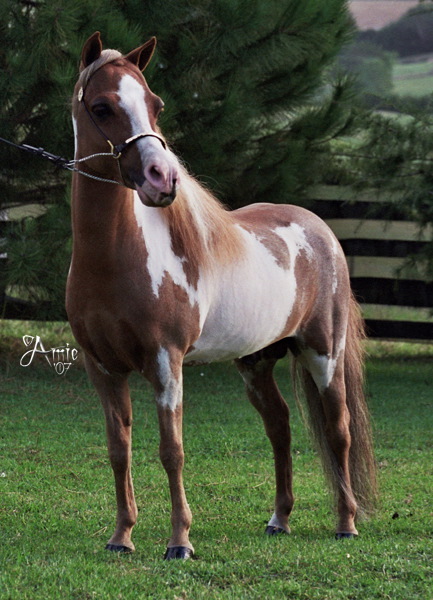 Lucky is an amazing Chestnut Frame Overo, who was imported into australia as a foal, as a senior stallion he has the body type and arab head that many breeders desire. 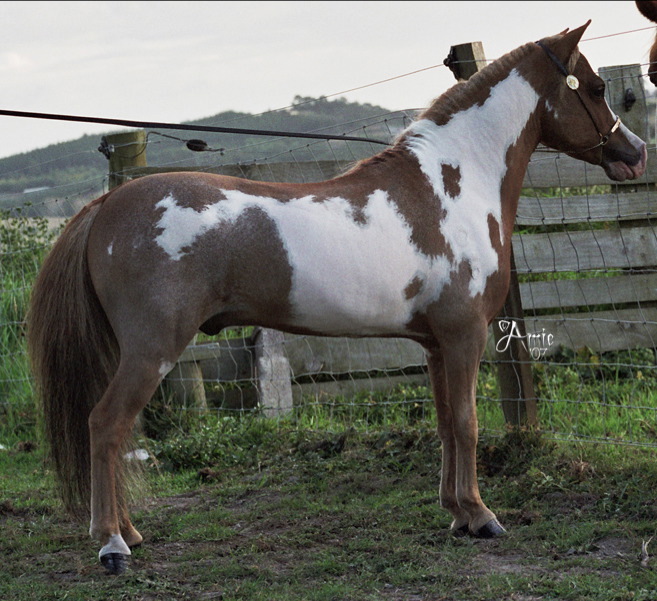 Along with nature and movement and amazing bloodlines this boy is the whole package, he is the sire of many Loud Overos and amazing solids. 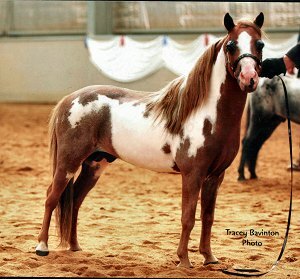 - 1st Senior Stallion 32" to 34"
Below are some of his progeny. 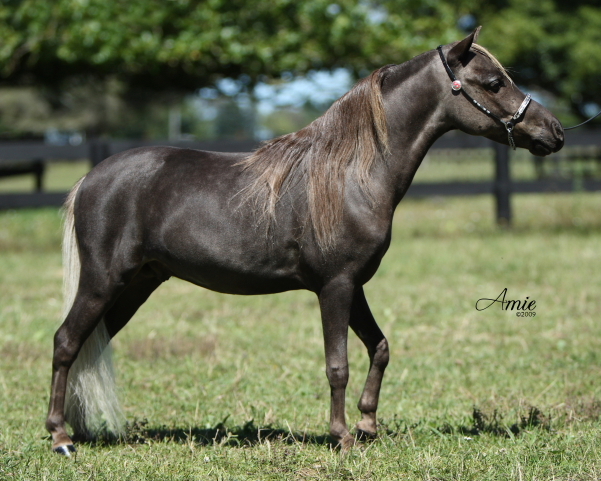 be a superb cross over some of our appy mares. 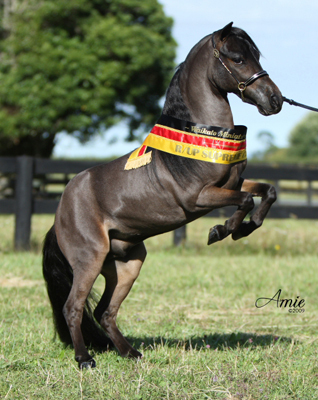 Tempation is sired by the magnificent black overo Coat O Chrome: USA and is the only direct descendant of him in NZ. 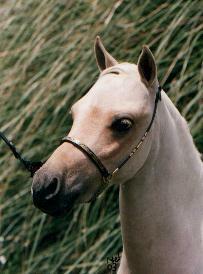 a touch of Chrome to their breeding programme. 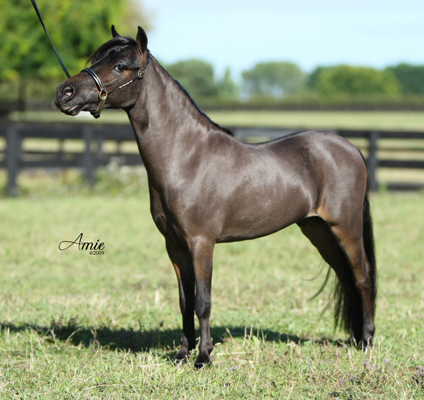 Chrome is available at stud and possibly for sale to a very special approved home. 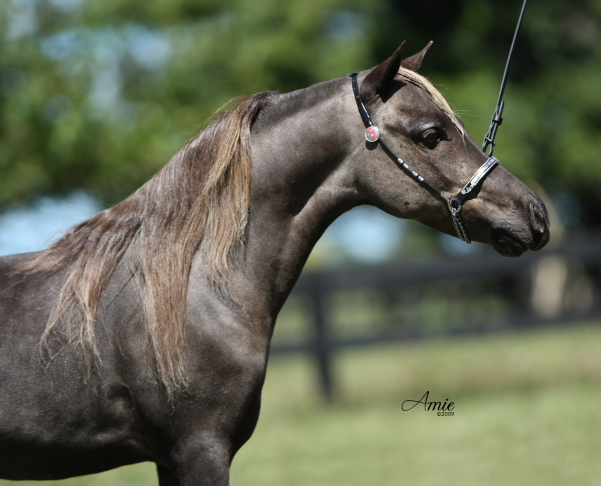 This outstanding colt will be standing for the 2003/2004 breeding season.